Discuss high-performance thin insulation modules that contribute to meeting stringent green building rating systems for zero energy targets. Describe innovative, energy-efficient, and space-saving water-source heat pumps that optimize controllability of systems by using thermostats controlled at central command centers or through mobile devices. 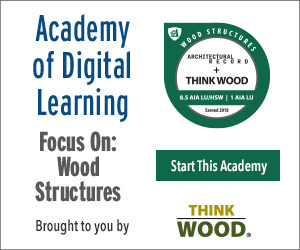 Identify new FSC-certified wood exterior decking produced from common domestic species and street furniture composed of lumber upcycled from urban forests. Define sustainable components from thermal performance to human well-being of high-performance, flexible opening wall systems. The green movement has led to growing changes in the materials and products that architects now specify for all buildings—not just those meeting green ratings. The American Institute of Architects has developed a brief history of green materials and is providing guidelines for choosing green products and materials. On their website, they are surveying architects to learn more about their choices. According to the AIA, “As architects, we specify materials every day. Our decisions affect the environment, our communities, and our health. Harnessing the evolving body of knowledge about the impact of materials is integral to improving the craft, science, and art of architecture.”1 This AIA initiative supports the growing trend to specify high-performance materials, systems, and products to increase energy efficiency, conserve water, provide more usable floor space, and reuse renewable resources for a sustainable future. It has been almost 25 years since the American Institute of Architects published the Environmental Resource Guide or ERG, the USGBC posted LEED 1.0 for public review, and the National Institute of Standards and Technology published a new methodology for life-cycle analysis of building materials—Building for Environmental and Economic Sustainability (BEES). Since then, the commitment to developing green buildings and green building products has been exponential in growth. 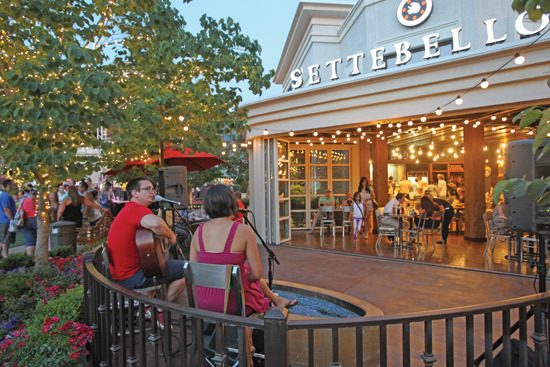 An outdoor stage and additional seating areas were created by the installation of an opening glass wall at Settebello Restaurant, Station Park, Farmington, Utah. ClimateMaster announces the launch of its Tranquility Vertical Stack (TSL) Series ducted heat pump unit, which is the first and only vertical stack product for ducted applications on the market today. Providing a simple, cost-effective approach to installing ducted stacked units, the ClimateMaster TSL Series also provides independent metering capabilities for a wide scope of building applications, including office, education, hospitality, and multifamily projects. Dow Corning® HPI-1000 Building Insulation Blanket is a thin-profile insulation that provides significantly improved thermal resistance (R-9.8 per inch) compared to conventional insulation materials in hard-to-insulate spaces. Easy to use, handle, and install, the insulation blanket is fire-resistant and hydrophobic and does not settle over time. NanaWall provides innovative and unique opening glass wall solutions that bring wide-open space, flexible space management, and natural daylight to all types of commercial applications. When the walls are closed, NanaWall systems offer the comfort and security of a fixed wall. South American hardwood-like durability, without the ecological baggage. Rich dark color that weathers to a natural gray (unless sealed). Upcycled urban wood uses trees that would otherwise end up chipped. Domestic harvest, processing, and assembly. Made in the USA. Long-term dimensional stability and rot resistance with no harmful chemicals.